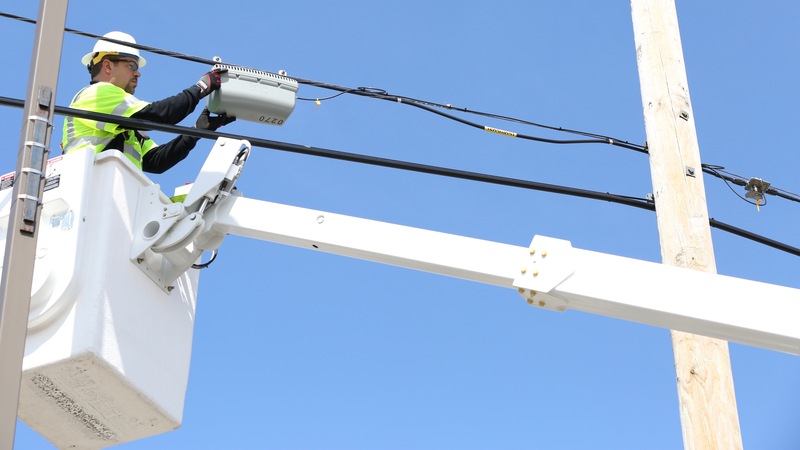 July 27, 2018 – Comcast Business today announced it has added several miles of fiber to reach around 500 businesses located in industrial areas in Bristol, IN, around Route 15 and Commerce Drive, and around Division Street and Kesco Drive; in Goshen, IN, south of College Avenue, north of East Kercher Road, west of Route 31 and east of Dierdorff Road; and in Plymouth, IN, south of Route 30, north of Lincoln Highway, east of Pioneer Drive and west of Broadway Street. With the buildouts complete, Comcast can give small, medium and large businesses in these industrial areas access to Internet speeds of up to 10 Gigabits per second (Gbps) – and up to 100 Gbps on a case-by-case basis – along with a wide range of services, including Ethernet, Internet, Advanced Voice and value-added cloud services. In addition, as a result of its network expansion, Comcast can bring new customers online quickly. This latest project follows network expansions that Comcast has completed in the last few years in Northern Indiana in Elkhart’s Eastland Drive Business Park and Lusher Avenue industrial area and in South Bend’s Ralph Jones Industrial Park. Comcast also offers an Internet service that provides up to 1 Gbps download speeds to homes and businesses, using a technology called “Docsis 3.1.” Launched regionally in August 2016, Comcast provides the service using the company’s existing network. The extent of Comcast’s network also has made it possible for the company to offer the largest WiFi network in the nation. Xfinity WiFi includes 19 million WiFi hotspots in locations across the country and more than 1.7 million in the region. Comcast has placed hotspots in or adjacent to locations ranging from restaurants, retail stores, salons and doctors’ offices to parks and universities, according to Dirkmaat. Thousands of businesses in the region also have Xfinity WiFi hotspots. All of Comcast Business’ multi-Gigabit Ethernet services are delivered over an advanced network that serves 20 of the nation’s 25 largest markets and spans 149,000 miles across 39 states and the District of Columbia. Comcast Business was the first service provider in the world to offer Metro Ethernet Forum (MEF) CE 2.0 certified Ethernet services and was also the first to achieve all three of the previous CE 1.0 certifications (MEF 9, 14 and 18). For more information, call 1-866-429-3085. Follow on Twitter and on other social media networks at http://business.comcast.com/social. With around 6,500 local employees, Comcast’s Greater Chicago Region serves customers in Central and Northern Illinois, Northern Indiana and Southwest Michigan. “Like” Comcast’s Greater Chicago Region on Facebook by visiting @Comcast. “Follow” Comcast’s Greater Chicago Region on Twitter at @ComcastILLINOIS.